Globe Telecom this week unveiled one of the world’s first-ever all-unlimited roaming service covering calls, texts, and mobile Internet, protecting its roaming subscribers from billshock, or the high surge of charges on a post-paid bill. Unlimited roaming mobile Internet is available for US$10 for the 1-day variant and US$27 for the 3-day variant. The unlimited roaming calls and mobile Internet combo is offered at US$30 for the 1-day variant and US$90 for the 3-day variant. On the other hand, the unlimited roaming calls, texts, and mobile Internet combo is available for US$40 for the 1-day variant and US$120 for the 3-day variant. The all-unlimited roaming services will cover Globe postpaid subscribers on roaming in Thailand, covering all roaming partners in the country such as Advanced Info Service Public (AIS), Total Access Communication (DTAC) and True Move Company Limited. ”Globe’s partnerships span across 200 countries and with more than 600 mobile operators across the globe. 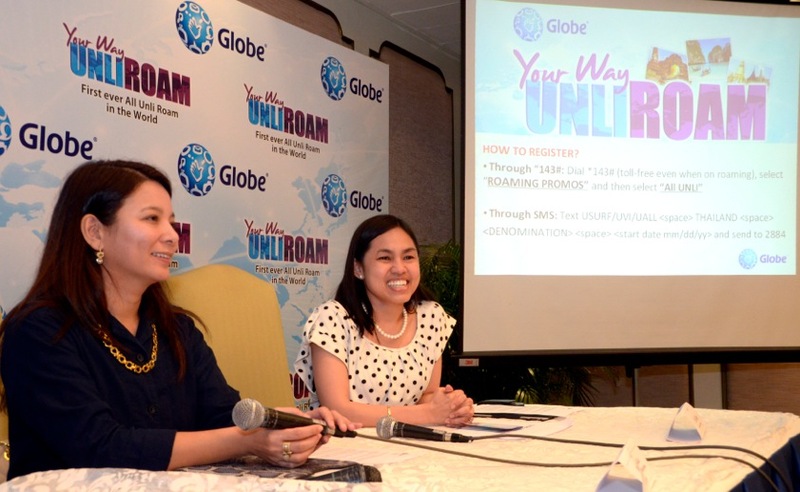 We also have the widest range of roaming offers and promos, with our unlimited roaming Internet promo available in 19 countries, and our PowerRoam offer which is fully consumable with up to 75% discount on roaming rates available in 16 destinations,” according to Rizza Maniego-Eala, Head for International Business Group at Globe. To register to the Globe All-Unli Roam promos, postpaid subscribers can dial *143# (toll-free even while on roaming), select ”ROAMING PROMOS” and then select ”All UNLI”. An SMS confirmation will be sent to the subscriber with the terms and conditions applicable to the promo selected.